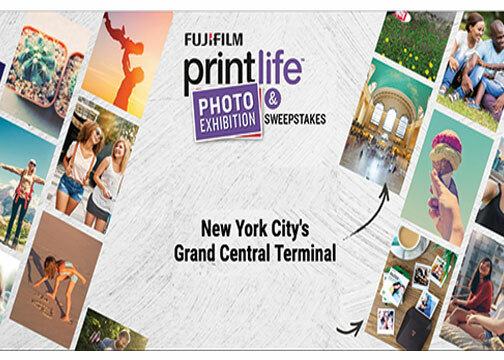 Valhalla, NY—Fujifilm North America Corporation launched the Fujifilm Print Life Photo Exhibition & Sweepstakes. From now until August 31, Fujifilm is holding a nationwide photo exhibition call for entries. The company believes every photo is print-worthy. So, it is offering the opportunity to display submitted pictures in the 2018 Photo Exhibition. The exhibit will be held at New York City’s Grand Central Terminal in Vanderbilt Hall from October 17–19, 2018. “We are very excited to bring this initiative to the United States once again. Fujifilm believes photography enriches people’s lives and we’re dedicated to reinvigorating the desire to print pictures,” said Ken Sugiyama, president of Fujifilm Holdings America Corporation and president and CEO of Fujifilm North America Corporation. Participation is open to the public. Consumers can visit printlifesweepstakes.com from any mobile device or desktop, select the image to upload and provide a brief caption. Moreover, participants can submit a total of 10 entries. In addition, entrants will receive an 8×10-inch print of the selected image. They will also have their photos on display at Grand Central Terminal. Furthermore, all eligible entrants have an opportunity to win one of 20 Instax prize bundles. 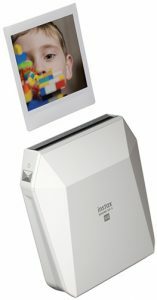 The bundles include an Instax Share SP-3 printer and two packs of Instax Square film valued at $234. Last year, Fujifilm North America Corporation introduced the PHOTO IS 50,000-person Photo Exhibition. The global initiative encouraged the United States, Canada, Latin America, Europe, China and Malaysia to continue the momentum following the success of the exhibition in Japan. Since the initiative began in 2006, the exhibition has grown every year and is now Japan’s largest photo exhibit.